Is America ready, more than a century after “The Birth of a Nation,” for a movie where the audience’s buttons are pushed to have sympathy for a Klansman? That’s the conundrum “The Best of Enemies,” a tedious based-on-a-true story drama about racial tensions and committee meetings. Ann and C.P. frequently are on opposing sides of fights in the city council. But when a fire guts the elementary school Durham’s black students attend, Ann lobbies unsuccessful to integrate the white-only elementary school — until the NAACP sues to integrate the schools. As a stopgap, the judge dodges a decision by bringing in a negotiator from Raleigh, Bill Riddick (played by British actor Babou Ceesay). Riddick, who is black, proposes a charrette, a group arbitration process to reach a compromise. Riddick proposes Ann and C.P. be the co-chairs of this process, and — after some grousing that each would never work with the other — they agree to lead the charrette. Anybody want to guess what happens next? That the two slowly learn from each other and reach a middle ground? And that townsfolk on both sides, but especially in the white community, react badly to that detente? Robin Bissell, a movie producer making his debut as writer and director, manages the nearly impossible trick of depicting empowered black characters doing verbal battle with racist white characters — and still creating a white savior scenario when Rockwell’s Ellis gets to deliver the big Oscar-clip moment in the finale. Would that Bissell give Henson, whose performance as Ann is more lived in and authentic than Rockwell’s retread of his “Three Billboards Outside Ebbing, Missouri” performance, such a meaty speech? 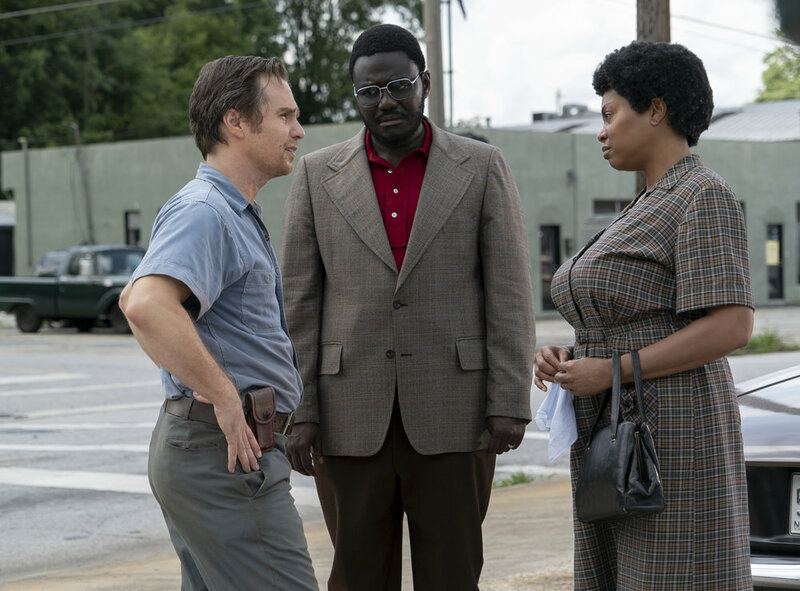 “The Best of Enemies” feels for all the world like the producers of “Green Book” decided for an encore and looked for the most relatable story about a Klan member. Aside from Henson’s performance, the only thing to look forward to about this movie is what reaction Spike Lee will have to it. Opens Friday, April 5, in theaters everywhere. Rated PG-13 for thematic material, racial epithets, some violence and a suggestive reference. Running time: 133 minutes.